Originally the location of the 12th century Cemetery and Church of the Holy Innocents, which was encircled by a charnel house, this site was the source of some two million skeletons that were moved to the Catacombs in 1786. 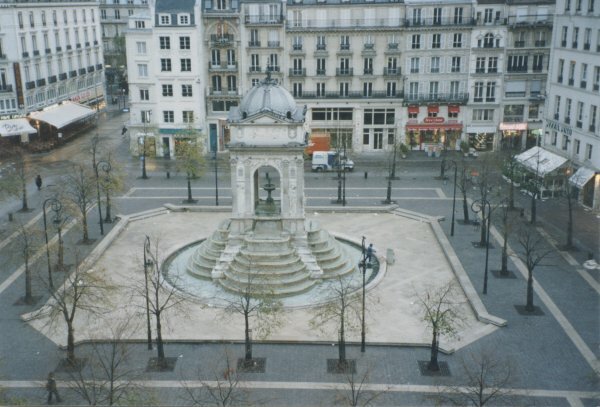 Three sides of this fountain were built at a corner of Rue St-Denis in 1550. Moved here in the 18th century, a fourth side was added, then a new base was built in 1865. Just blocks from the Pompidou center and the Forum les Halles, it is rare to see it empty and clean.